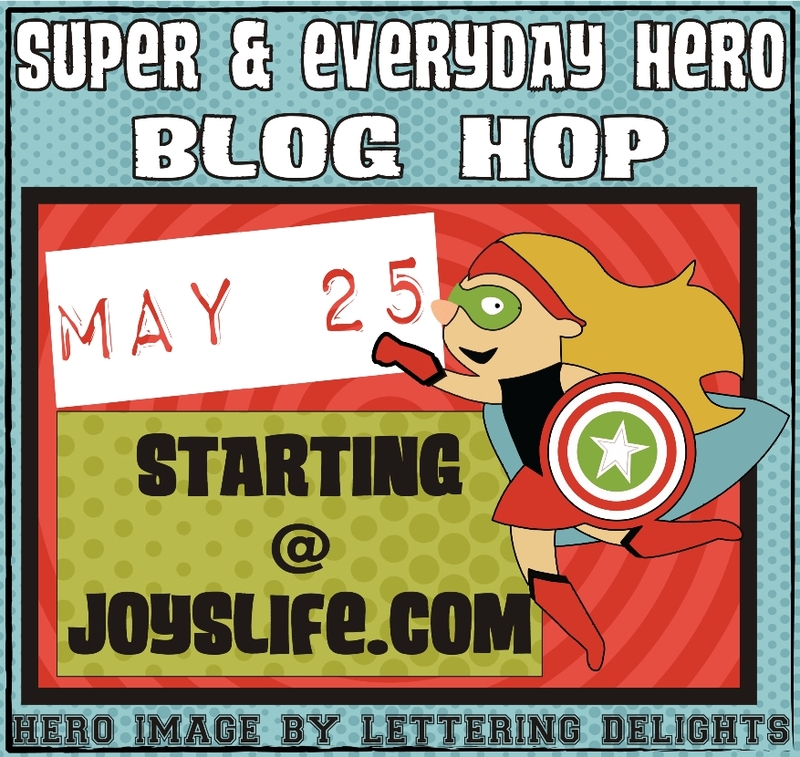 Welcome to the Super and Everyday hero blog hop, featuring stamps from the Joy's Life My Hero stamp set. If you didn't come from Maria's blog, you might want to go back to the beginning because there are lots of prizes and inspiration. I created this card with some Bazzill cardstock, some Clearsnap embossing powder and ink, my Joy's life stamp (of course) and ... drinking straws! I glued the straws in a pattern on a scrap piece of paper then snipped the ends to create a straight line. I don't know what I am giving away yet, but if you want to win a surprise gift from me, become a follower (or already be one) and leave a comment. I will randomly choose one winner to get a surprise! Now you are on to Stacey's blog! Straws!! What an unusual and fun idea, Megan. It's so summery too! 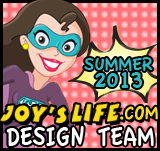 Thank you for being in the Super & Everyday Hero blog hop! wow---that is totally different! Awesome! love the colors! what a fun way to use straws! you are so fun Megan! when your page loaded I was staring at your card thinking...are they straws?! lol very cool! What a fun idea to use straws! You clever girl! I'm your newest follower. I love those bright straws against the black cardstock! Too fun! Straws? What a fun idea! Love the bright ones, especially up against the black, they look like they are ready to pop off the card! Love it!! what a FANTASTIC idea for straws!!! I am so going to use this sometime in the future!! Way to go! Wow, never ever would have thought of using straws... clever!! Great card!! I love how you used the straws! Straws!That is a great idea and the colours are so bright they remind me of a lemonade stand! !and candy ..yes definitely candy! OH love this! The straws rock!!! 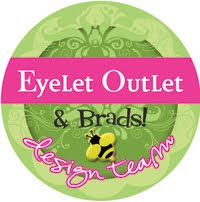 Love the idea...and btw, the new Funday Friday challenge started this week over on my blog. 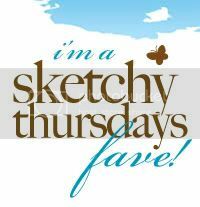 I hope you can come and play along with this week's sketch! Stop on by! How fun to use these brightly colored straws! This is such a cool idea! Great card! Megan, this is such a fun card! Love the use of straws in it! What a great card! The idea with the straws is so cool! !